Looks like 3.019 software is downloading fine but MD5 check verification fails. I dont want to losse settings. Pls advise how to proceed. 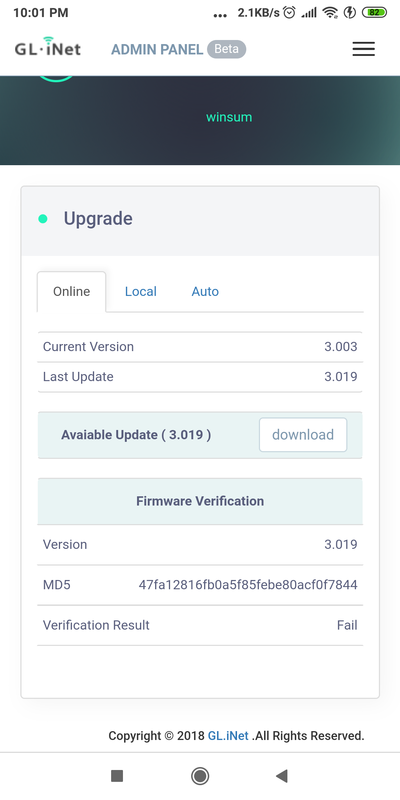 You can manually update by downloading the file to your computer first, and using the “local” tab in the upgrade page. 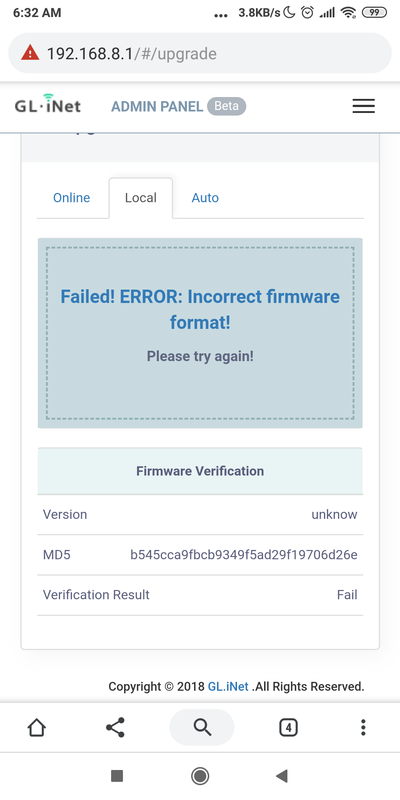 Still fails saying incorrect firmware. 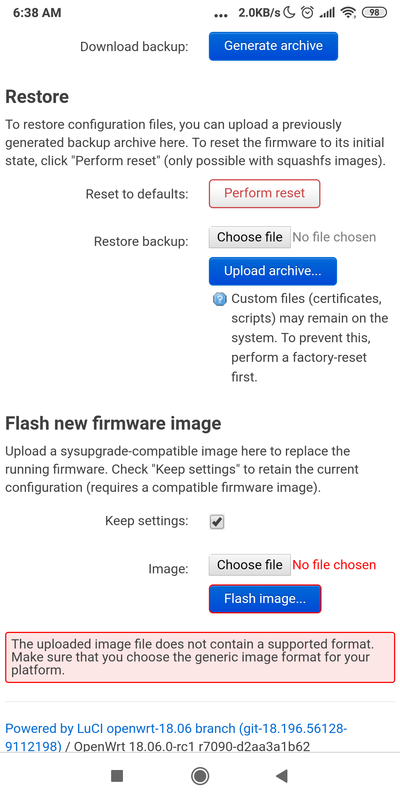 Seems you are upgrading the Nand firmware using the Nor version (.bin). Did you just click download from the UI or download manually? I mean the first time, not after Johnex asked. could you send me a link to see what are the features / bug fixes in latest version from earlier?